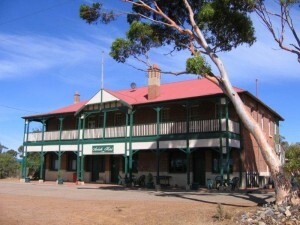 A small siding located 70kms from Merredin between Bruce Rock and Corrigin with a majestic hotel and a number of residences. 10 Rooms with shared ablutions, catering for motor clubs and small group bookings. $50 per night for queen.